HomeDronesA new drone record: Gray Eagle UAS has reached 20K automatic launch and recoveries. On Sept. 15, just 15 months after reaching 10,000 events, GA-ASI’s Gray Eagle Unmanned Aircraft System (UAS) achieved a record 20,000 successful automatic launch and recoveries with the Automatic Takeoff and Landing System (ATLS). ATLS has been deployed at eight operating locations worldwide, including three overseas, with four additional sites planned by January 2015. 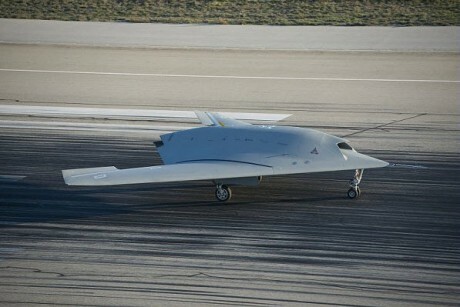 Gray Eagle is an advanced derivative of the most famous U.S. drone: the Predator. It is specialized in providing direct operation control by Army field commanders and its roles includes Reconnaissance, Surveillance, and Target Acquisition (RSTA); convoy protection; Improvised Explosive Device (IED) detection; providing aerial imagery to combat patrols and pattern of life analysis. It can also conduct precision weapons delivery missions thanks to a payload of over 1,000 lb. In Intelligence, Surveillance and Reconnaissance (ISR) configuration, its endurance is 25 hours and operating altitude is up to 25,000 feet. The U.S. Army operates a fllet of 75 such aircraft, the first of those were deployed in 2009. The UAS is currently logging 3,200 flight hours per month, for an overall 80,000 fh since it entered service. Another 34 Gray Eagles are planned within the next 14 months. Between Oct. 11 and Oct. 13, a General Atomics Aeronautical Systems Improved Gray Eagle (IGE) drone, a next generation derivative of the Gray Eagle, successfully completed the first of two planned U.S. Army endurance demo flights remaining in the air for 45.3 hours.